Ivan is an Argentinian tango dance, choreographer, teacher and DJ. 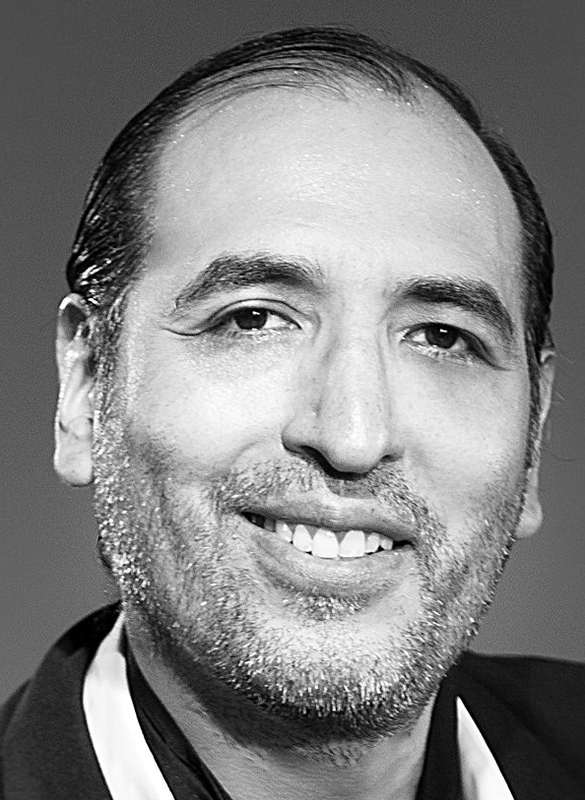 He has over 20 years of experience teaching and performing in the UK, Europe, Australia, Mexico and Argentina. Ivan is the founder & principal teacher and resident DJ at Negracha Tango Club, one of UKS leading tango venues. He also teaches, performs and djs regularly at various Milongas and Tango Clubs in London, the UK and abroad. Steve has almost 2 decades of experience as a tango DJ. He is a life-long musician and composer playing many instruments, including piano and bandoneon. He brings a deep understanding of music to craft playlists that do more than people dance. Like an artist uses paint he uses rhythm and melody tp create a soundscape that moves the spirit as well as mind and the body. He has been a guest DJ in milongas and festivals in Norway, Germany, The Netherlands, Italy Switzerland and around the Uk. He is resident DJ and teacher at TangoUK in Bramshaw. 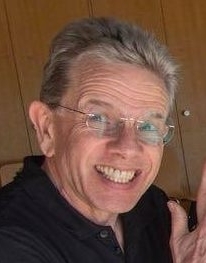 One of Italy's most popular djs. 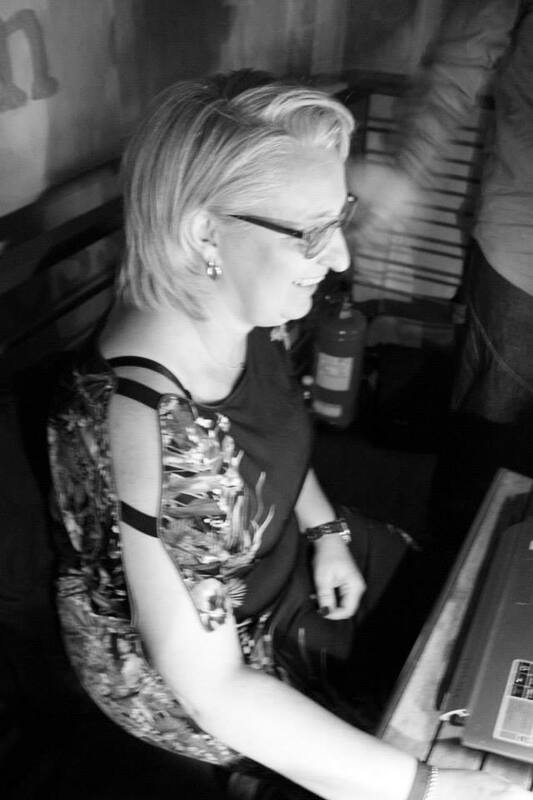 She is regular at many of Europe's biggest festivals such as Asti and Turin (where she djs to crowds of more than 600 people!). She was a real star at this year's England International Tango Festival where she ran the daytime Milongas. 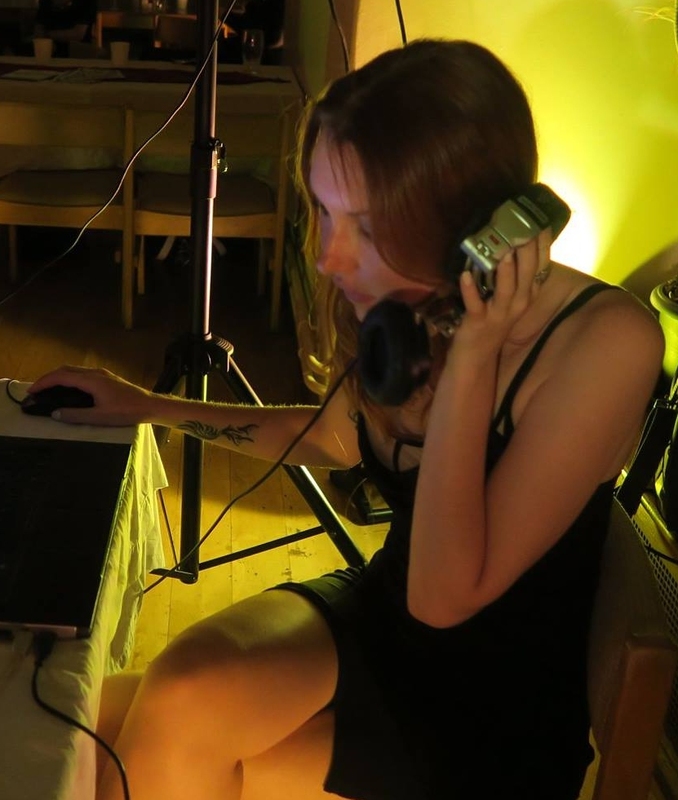 She also dj'd at the recent Herstmonceux Castle Milonga. 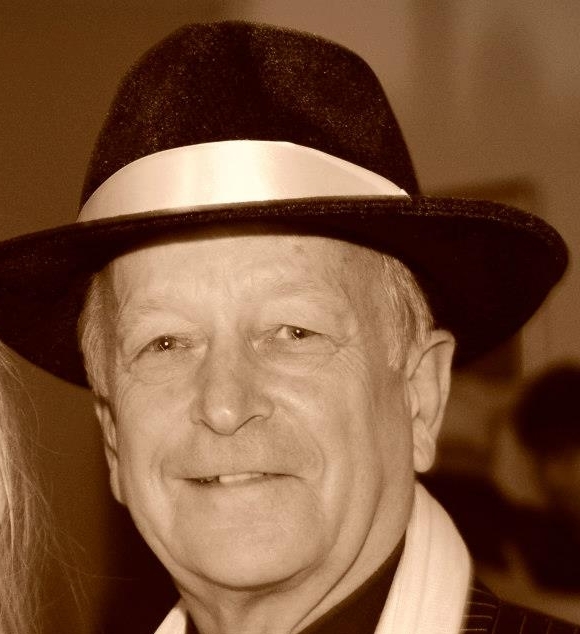 Co-founder of one of South Coast's leading tango schools - Registango. Celebrating 10 years of organising tango events, djing and teaching. 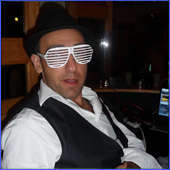 Frank is resident dj at Walberton monthly milonga and popular guest dj at other festivals/events. Founder of TangoBootCamp, England InternationalTangoFestival, DecaDance, Temptation Brightangothon. Dance has dj'd for more than 30 years and his others genres include Soul, Funk, Blues, Reggae and Modern Jive (Ceroc). 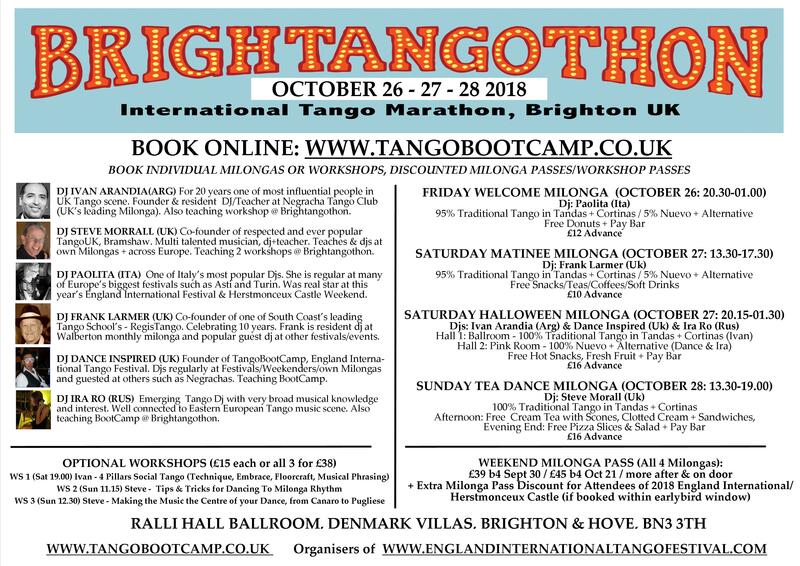 He has been involved with Tango for more than 101years and djs regularly at TangoBootCamp milongas, National Tango Festivals, dance weekenders and also guest djs at milongas such as Negrachas. An emerging Tango dj with very broad musical knowledge and interest. Well connected to Eastern European Tango music scene. 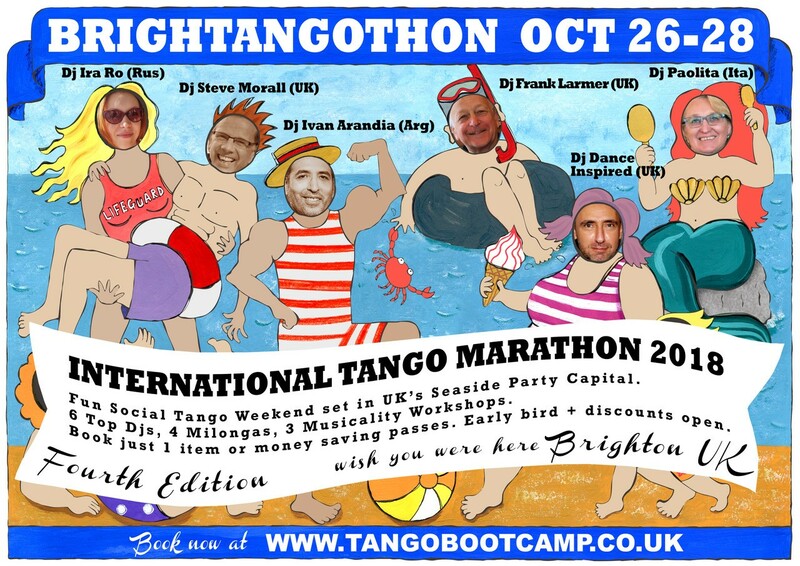 Also teaching BootCamp @ Brightangothon.